I know we're taught that doing more is overwhelming. Puts us out of whack and out of balance. So many articles and blogs out there are about getting your zen back. De-stressing. But what IF.... everything is the opposite of what it appears to be? What 'adding more' actually does, when you're willing to be aware and not conclude and decide things, is it makes you super present to all of the balls and all of the energies you need to be aware of. 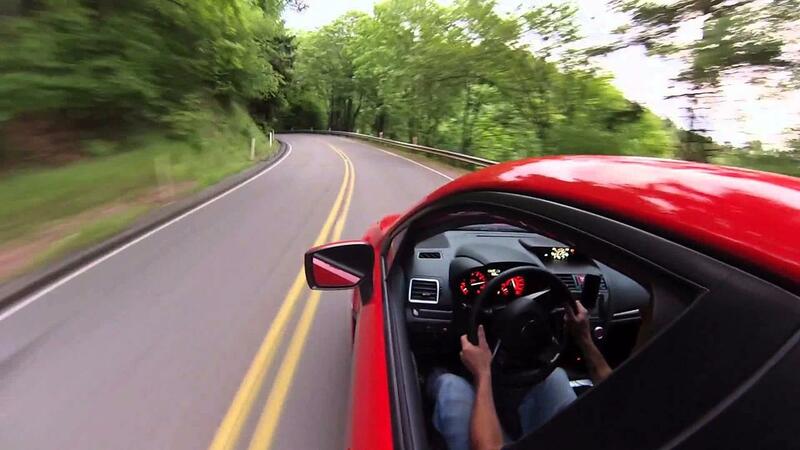 Do you notice that when you drive faster, your focus softens? You "see" more? You respond more quickly and with more ease? When you're a server and the restaurant is busy, you have to see the whole restaurant, the flow of everything, to know what's going to happen and be next. But we don't seeem to have that same awareness with our life and business. How do you we apply this? And stress less? When I look back in the day, the only times I was stressed or overwhelmed was when I had decided that I had to get certain things done, and somewhere in me, I knew that they weren't going to get done. Stuff not getting done that I think should be done = stress. Simple. And when you own your own business, the to-do list never gets shorter. It's ongoing. So, here's the thing - to function at your peak, you've actually got to let go of the control that is what you've decided has to get done, and look at what's asking for your attention. 1. At the beginning of my day, I usually get everything out of my head; I do a brain drain. I literally write down, on paper, electronic or otherwise, every single thing that's in my head. 2. Create a system for capturing these drains. 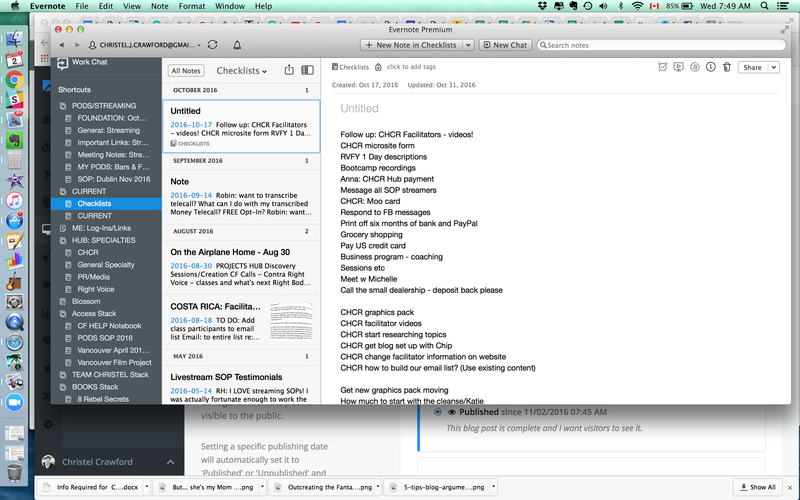 I love using Evernote, on my Mac, because it syncs to all devices, and I have a notebook in there called Checklists, that I write everything in. Here's what's funny about that notebook and those lists, on the aside: I rarely look at them again. And when I remember to, I've done almost everything on the lists, and the things I haven't done, turned out didn't really need to be done in the first place. 3. At the beginning of my day, I destroy and uncreate every decision and conclusion that I either have or have picked up from someone else about what "should" be done today. Here's how you do that. Say to yourself, "Everything I decided and concluded that my day has to look like and everything I decided I have to do, I destroy and uncreate it all. You can also say after that, "Poc and pod." Here's a website that explains what that is. Choosing to do that might make you and your body feel lighter, and it will clear some more space for the awareness you have of what you could create or choose today. 4. I look at the near and far future, and ask: What requires my attention today? Example: I know that I'd like to create $______ in the next 7 days. What's required to create that? Don't try to get an answer to that question. Ask it and give yourself some space. Go get a coffee. Asking these questions will begin to open up your awareness, and fresh energy and ideas will flow in at the most random times. 5. I look at where I may be functioning from a lot of order, instead of chaos. You know what gives me that information? Stress! Points of order are everywhere where we've decided something has to be in a certain order. Or should be some particular way. Chaos is where we function best. Similar to organizing your kitchen in a way that supports your creative process, a life can be organized so that the creative chaos that is who you truly are, can flourish! Have you decided that your day needs to look a certain way? Or have you just been doing it that way, forever? Are there someone else's expectations that you're trying to meet by doing it that way? Is it possible that changing it to work for you, could also work for them, if you were clever about it? 6. I start wondering what I can add today! Is your business asking for an assistant? Can you add someone that does social media? Graphcis? Bookeeping? Is it time to create more than one program at a time, more than one class, more than one anything? When you're willing to run your business like you're driving on the Autobahn, something very different opens up for you. I'd love to hear what your experience of this has been in the comments below! Where do you struggle? And where is it working really well?